For some, it started out simply enough as a way to stay out of trouble ... something for neighborhood kids to do in the summertime. Over time, it became a lifestyle ... a right of passage ... a source of intense pride ... an opportunity for travel, for self-discovery, achievement and triumph over personal challenges. Volumes can be written on the value of the friendships formed through the shared drum corps experience. Although it's nearly impossible to count the number of people who have graced the field of competition wearing a uniform since Drum Corps International was established in 1972, it is indisputable that "This Thing We Do" has touched and inspired the lives of millions around the world. Please enjoy our first installment in a series of videos taking a look back over the 40-year legacy created by hundreds of thousands of outstanding performers and all of those who have cheered them on in support of their journey. 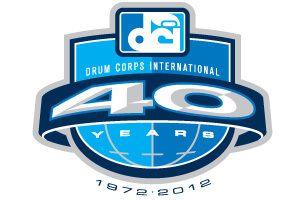 Re-connect and re-unite at the 2012 DCI World Championships in Indianapolis! Marching Music's Major League will host the Grand Reunion this August as part of the World Championship Semifinals and Finals at Lucas Oil Stadium. If you've ever performed, judged, volunteered or have been a part of the drum corps experience in any way, we invite you to join us for this gigantic celebration that's been 40 years in the making! Learn more about participating in the Grand Reunion.